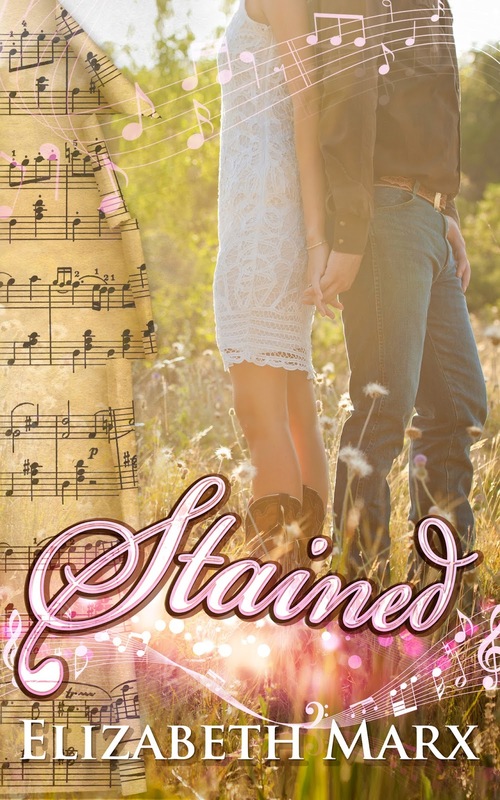 elizabethmarxbooks: STAINED--WHAT IS SACRED HARP? 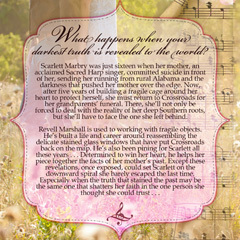 If you've read the opening lines of the blurb for STAINED you're probably wondering what sacred harp is all about? When I was a little girl I remember my grandmother speaking of singings, and of the people who went singing, but it wasn't until I was started researching STAINED that I realized just how important sacred harp is to the southern tradition. Sacred Harp singing is a tradition of sacred choral music that took root in the Southern region of the United States, especially along the Appalachian mountain range. The earliest roots of Sacred Harp come from "country parish music" of early 18th century England. This form of rural church music evolved a number of the distinctive traits that were passed on from tradition to tradition, until they ultimately became part of Sacred Harp singing. It is part of the larger tradition of shape note music. Sacred Harp music is performed a capella (voice only, without instruments) and originated as Protestant Christian music. The songs sung are primarily from the book: The Sacred Harp. Sacred Harp refers to two passages in the Bible by the apostle Paul, commanding the Ephesians and the Colossians to sing "psalms, hymns and spiritual songs, singing and making melody in the heart unto the Lord." As a child I remember my grandmother saying that someone went to a singing. Sacred Harp singings happen during Sunday worship and it also happen during special ‘singings’. Sacred Harp groups always sing a cappella. 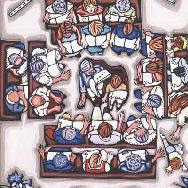 The singers arrange themselves in a hollow square, with rows of chairs or pews on each side assigned to each of the four parts: treble, alto, tenor, and bass. The treble and tenor sections are usually mixed, with men and women singing the notes an octave apart. There is no single leader or conductor; rather, the participants take turns in leading. The leader for a particular round selects a song from the book, and "calls" it by its page number. Leading is done in an open-palm style, standing in the middle of the square facing the tenors. Sacred Harp singing has experienced resurgence in popularity, as new participants who did not grow up in the tradition discover it. There are strong Sacred Harp singing communities in most major urban areas of the United States, and in many rural areas, as well. One of the first groups of singers formed outside the traditional Southern region of Sacred Harp singing was in greater Chicago. Sacred Harp is mournful, but at the same time very beautiful. There are two fine examples of Sacred Harp singing in the movies Cold Mountain and Lawless. Here's a video that explains how sacred harp singers sing the characters first and then the poetry with a familiar song, Amazing Grace. 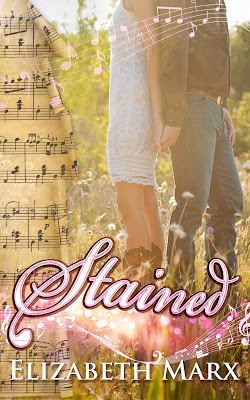 Amazing Grace is very important in STAINED and it's the reason Scarlett's mother is named Mazey Grace. Thanks for stopping by. If you know anyone who sings sacred harp, or ever been to a singing, I'd love to hear about it. Please leave me a comment. Happy Reading, Reviewing & Singing to You! To me the most interesting thing about Sacred Harp/Shapenote music is that the note heads aren't all round. The different shapes - triangle, square, diamond, and round - correspond to different intervals, and were designed to help singers who couldn't all read and didn't all have copies of the music. It's an absolute hoot to sing. Hard on the vocal chords, but so much fun. All the best with your release, Elizabeth! So excited to meet someone who has sung sacred harp. I can see from watching videos that it isn't all that easy to do, but there is something so awe inspiring about making music with nothing more than your voice.